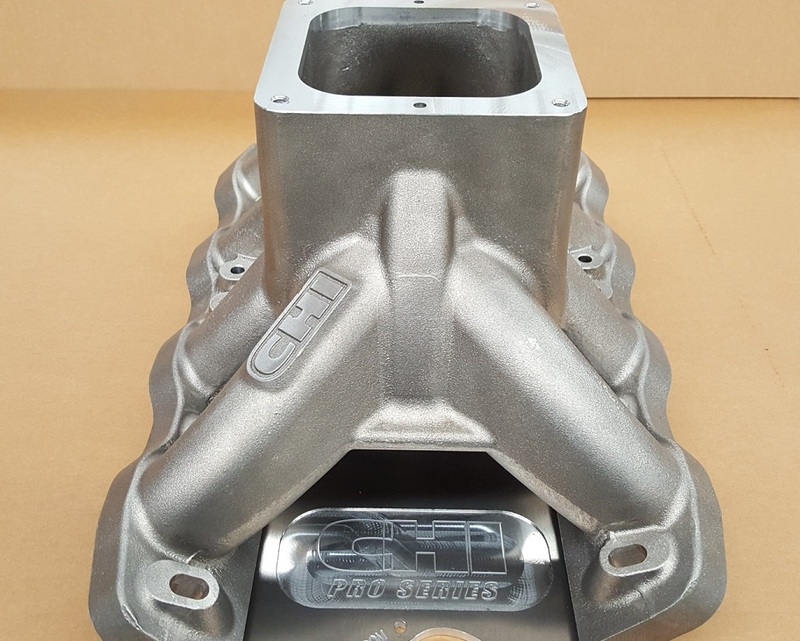 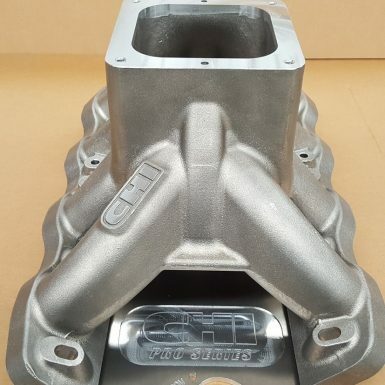 3V 242cc Manifolds INTPS242D9.2C CHI Ford Pro Series Intake Manifold- 242cc CNC Ported 3V heads, 4500 carb, 9.2"
INTPS242D9.2W CHI Ford Pro Series Intake Manifold- 242cc CNC Ported 3V heads, 4500 carb, 9.2"
INTPS242D9.5W CHI Ford Pro Series Intake Manifold- 242cc CNC Ported 3V heads, 4500 carb, 9.5"
INTPS268D9.2W CHI Ford Pro Series Intake Manifold- 268cc Pro Series 3V heads, 4500 carb, 9.2"
Originally designed to support the raised intake Pro Series heads, the Pro Series intake manifold has also become a popular upgrade for many different CHI head combinations, particularly in drag racing applications. 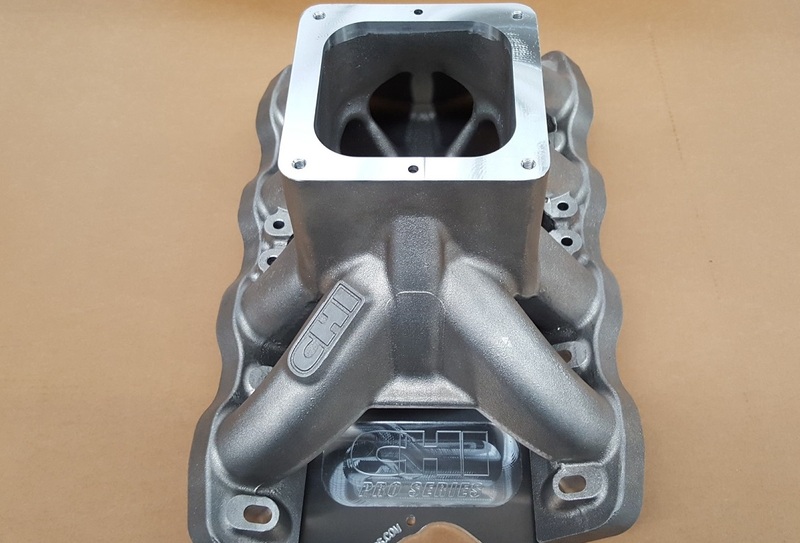 The extra-large (football shaped) plenum and heavily tapered runners that start at 4.0” CSA have made some impressive gains on engines fitted with heads as small as 225cc port volume as well as all out engines running the 268cc Pro Series heads. 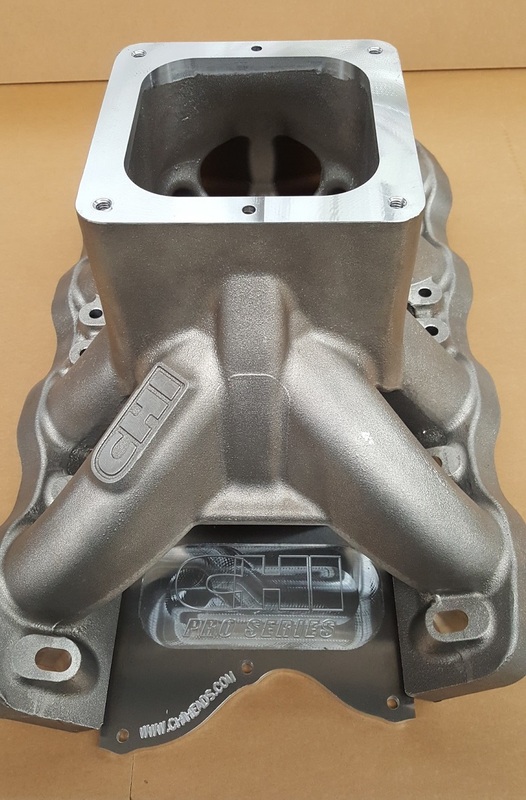 Not recommended for engines less than 700HP. 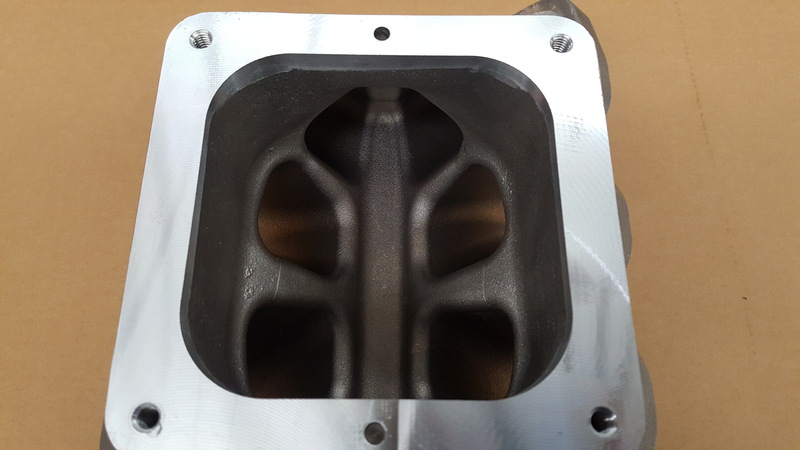 Manifolds are supplied complete with billet valley tray to suit 9.2C, 9.2W or 9.5W block. 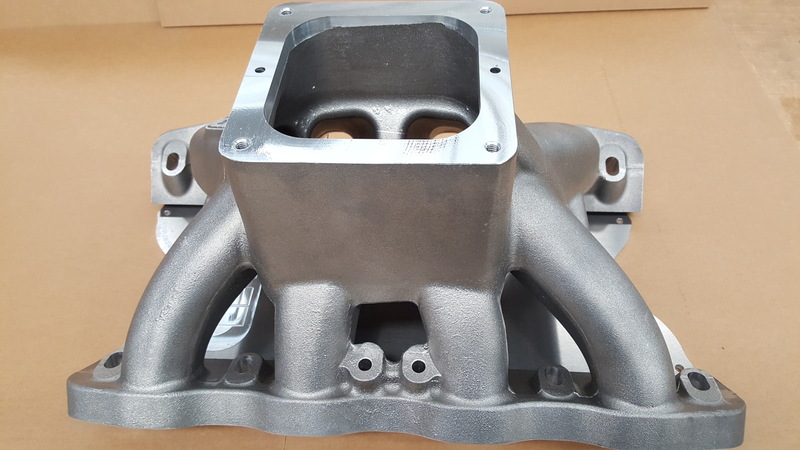 Note: Application listing, port volume 242CNC, 268CNC etc refers to cylinder head type the manifold is machined to suit, not the manifold runner size. 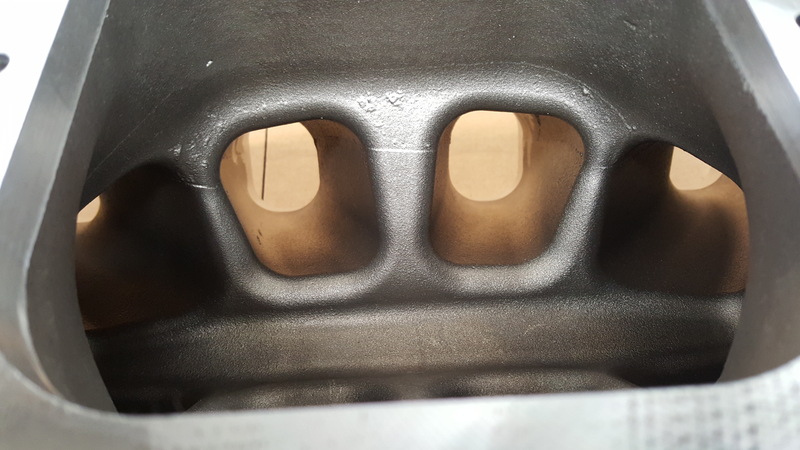 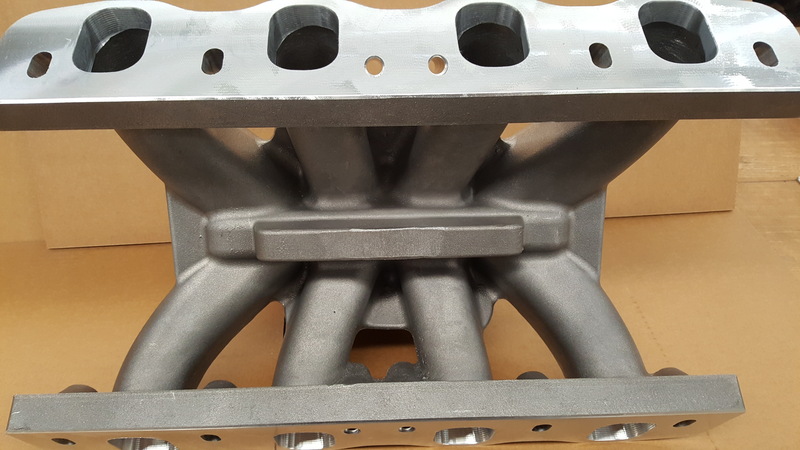 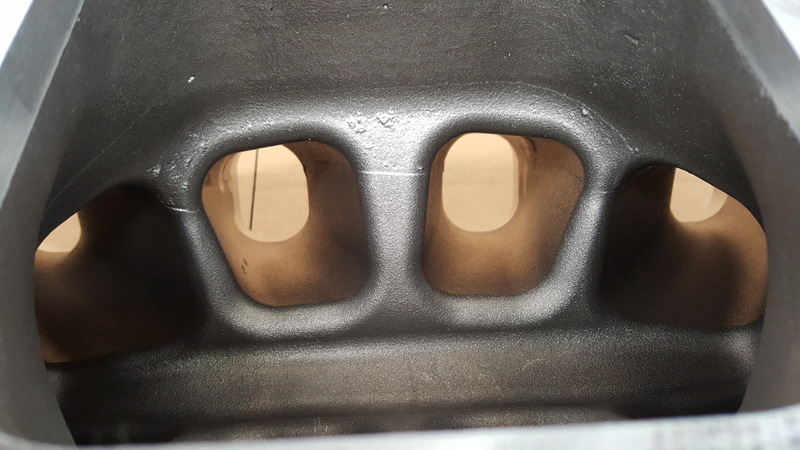 This manifold can be ordered without port match machining, leaving material for engine builder to port match to heads by hand.